Health Monitoring of Bridges prepares the bridge engineering community for the exciting new technological developments happening in the industry, offering the benefit of much research carried out in the aerospace and other industrial sectors and discussing the latest methodologies available for the management of bridge stock. 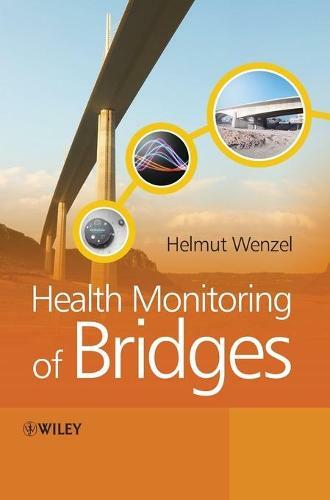 Health Monitoring of Bridges: Includes chapters on the hardware used in health monitoring, methodologies, applications of these methodologies (materials, methods, systems and functions), decision support systems, damage detection systems and the rating of bridges and methods of risk assessment. Covers both passive and active monitoring approaches. Offers directly applicable methods and as well as prolific examples, applications and references. Is authored by a world leader in the development of health monitoring systems. Includes free software that can be downloaded from http://www.samco.org/ and provides the raw data of benchmark projects and the key results achieved. This book provides a comprehensive guide to all aspects of the structural health monitoring of bridges for engineers involved in all stages from concept design to maintenance. It will also appeal to researchers and academics within the civil engineering and structural health monitoring communities.